After being launched on Playstation 4 and Playstation Vita, the cult licence of Ys is now playable on Xbox One for the first time ever. 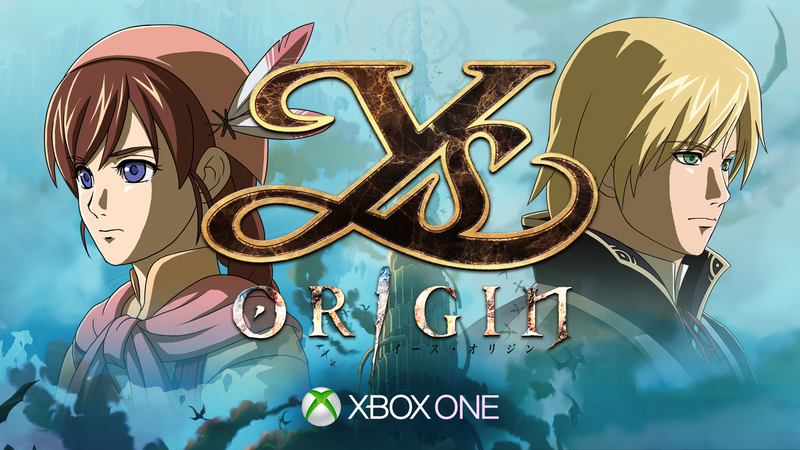 We are more than happy to bring such a beautiful title and classical JRPG to the Microsoft console, making Xbox players able to discover the wonderful universe of Ys Origin. Ys Origin takes place 700 years before the events of the series’ first games. The land of Ys is on the brink of destruction. Demons come in droves, forcing the twin goddesses who rule the land to use their magic and bring the inhabitants of the land safely into the sky. But while the demons work to construct the Devil’s Tower and reach the humans’ new home, the goddesses disappear. Your mission: climb the Tower and save the Goddesses. The Xbox One version comes with two special features: a speedrun mode and a ‘blood mode’ so you can challenge yourself for being the fastest Ys player in the world and also choose the blood quantity that best suits your gameplay tastes. Get the game here and make sure to follow us on Twitter and Facebook for all our announcements!